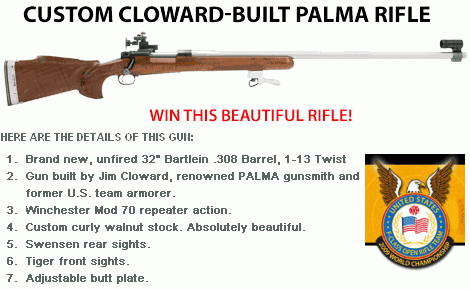 Here’s your chance to own a gorgeous, .308-caliber Palma Rifle, while helping the U.S. F-Class Open Team. This handsome rifle, valued at over $3000.00, will be raffled off as a Team fund-raiser. This gun was owned by F-Class Team Vice-Captain Shiraz Balolia and very lightly used. A brand new Bartlein barrel was installed by Jim Cloward before the gun was donated by Grizzly Industrial to help raise money for the U.S. F-Class Open Rifle Team. Funds will help cover the costs of sending the Team to the 2009 World Championships in Bisley, England. CLICK HERE for MORE Rifle PHOTOS. Make checks out to U.S. F-Class Open Rifle Team. If you are making a donation of over $20.00 and would like a receipt for tax deduction, please make out your check to PALMA Promotions and mail to the above address. All tickets and receipts will be sent by return mail. Drawing will be held in February, 2009 in Bellingham, WA. 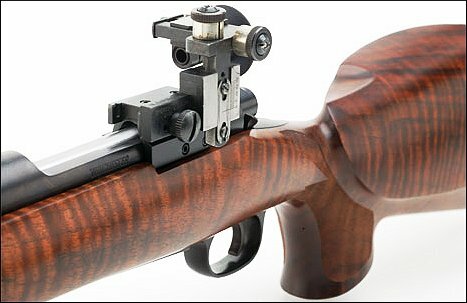 Share the post "Rifle Raffle to Support U.S. F-Class Open Team"
Special events are being planned across the country for National Hunting and Fishing Day (NHF Day), set for September 27th. The annual celebration will serve as a reminder to all Americans that conservation succeeds only because of leadership and funding from hunters, shooters and anglers. National, regional, state and local organizations will run thousands of “open house” hunting- and fishing-related events everywhere from shooting ranges to suburban frog ponds. An estimated four million Americans will participate. For information on NHF Day, visit www.nhfday.org. To find an event in your area, click the link below. 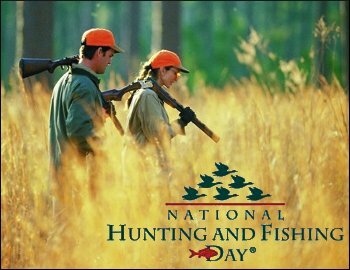 In 1972, Congress unanimously passed legislation authorizing National Hunting and Fishing Day on the fourth Saturday of every September. President Nixon signed the first proclamation of National Hunting and Fishing Day, writing, “I urge all citizens to join with outdoor sportsmen in the wise use of our natural resources and in insuring their proper management for the benefit of future generations.” Currently, the national celebration is coordinated by the official home of National Hunting and Fishing Day, Wonders of Wildlife museum in Springfield, Missouri. Sponsors for 2008 include NSSF, Bass Pro Shops, The Sportsman Channel, National Wild Turkey Federation, Realtree, Cabela’s, Woolrich, GunBroker.com, Outdoor Channel, Safari Club International, Hunting Heritage Trust, Smith & Wesson, Field & Stream and Outdoor Life. Share the post "National Hunting & Fishing Day, Sept. 27"